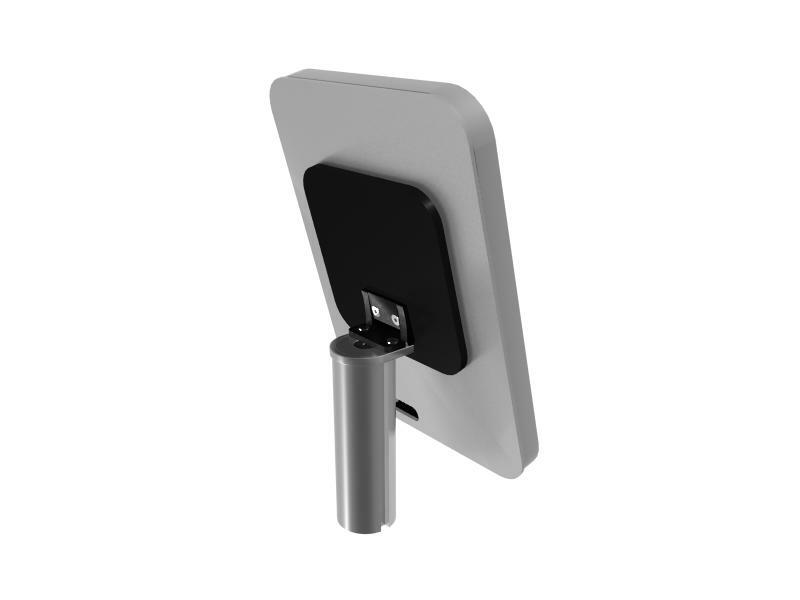 MOD-1345 iPad Tilt Option: The MOD-1345 iPad Tilt Option allows the clamshell to tilt up to 90 degree with a secure friction hinge. The friction hinge makes it easy to adjust the clamshell postion without tools or a a knob. 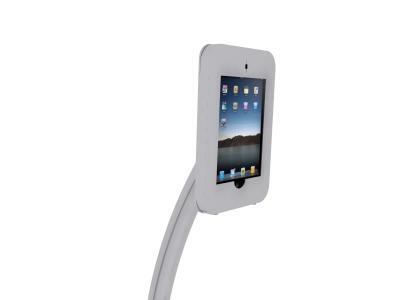 Simply re-position it by tilting the iPad clamshell frame. 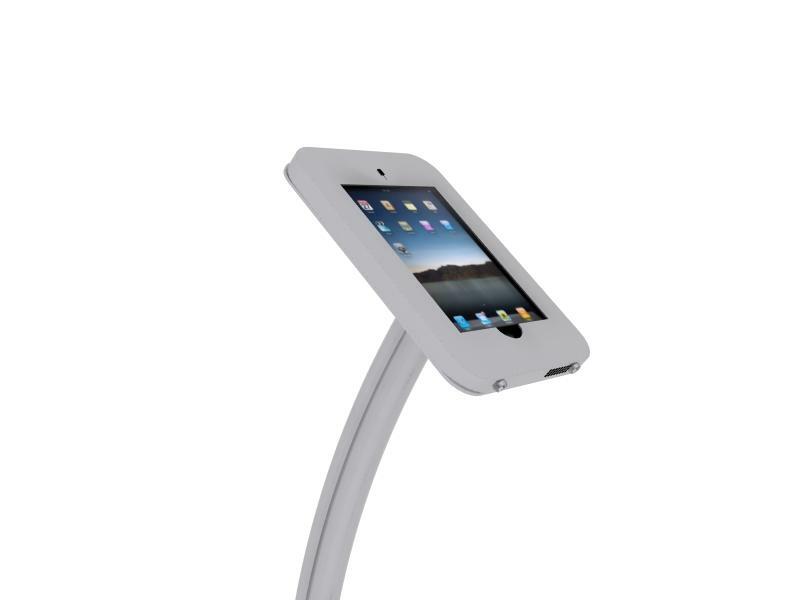 The iPad Tilt fits most of our iPad kiosks (except MOD-1312 and 1314). 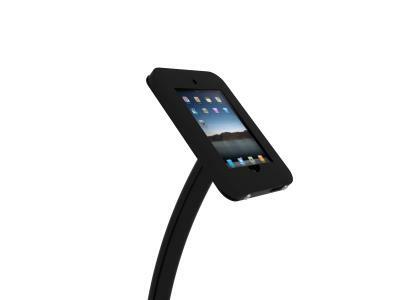 When mounted to the exclusive Swivel Stop™ clamshell, the iPad can swivel between portrait and landscape and tilt up to 90 degrees. The MOD-1345 is an affordable addition to any iPad Kiosk. 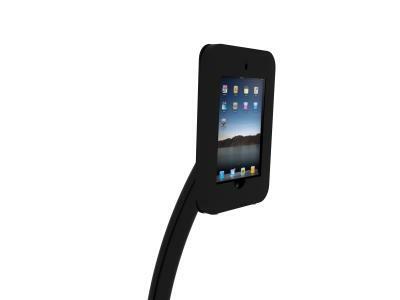 Need an iPad solution not shown? Let us know. We're happy to design the perfect solution for you.